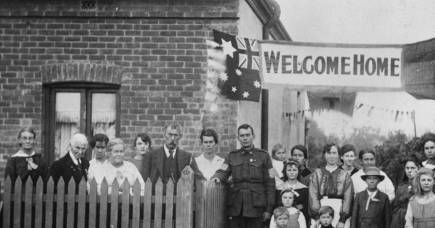 In the years following World War I, Australia needed to remember and commemorate its war dead. 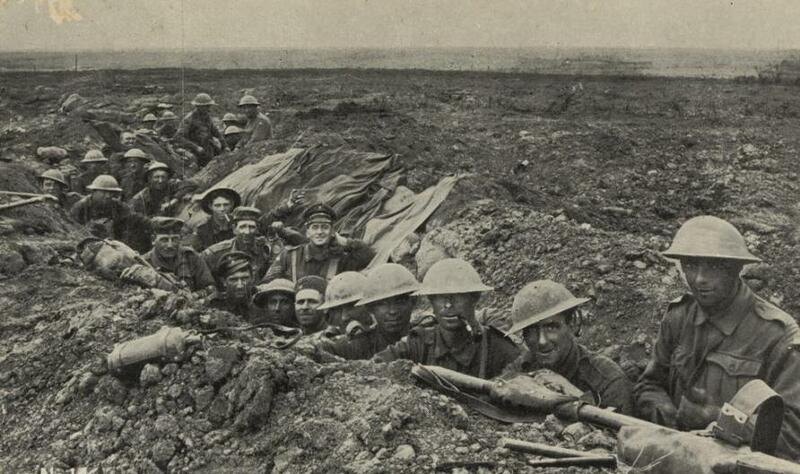 According to government historical records some 62,000 Australians died in the war, and around 400,000 enlisted. But even now, more than a century later, those records are still being updated as new information comes to light. Some of that information comes from the communities that knew and worked with those who went to war. And that includes the University of Melbourne. In 1926, eight years after the conclusion of hostilities, the University produced the official Record of Active Service of Teachers, Graduates, Undergraduates, Officers and Servants in the European War, 1914–1918 - a handsome volume, bound in leather, with details of university careers and military service, and photographs of the fallen. The Record listed the names of 253 staff, students and graduates who perished in the war, and 1725 who returned. But now, new research has found that this list is incomplete. Our investigations uncovered another 156 individuals who were not included in the original war memorial book, bringing the total number of University students, staff and graduates who came back from the war to 1,882, and the total number who served to 2,135. The University’s memorials to the fallen were both physical, such as the cenotaph or the clock in the Old Arts tower, and abstract, in the form of scholarships, often named for a lost son. Students published a commemorative issue of Melbourne University Magazine, edited by the historian Keith Hancock, in 1920. A list of those who served and those who lost their lives was published in the Melbourne University Magazine memorial issue. Six years later, the Record, edited by the classics lecturer at the University’s Ormond College, H.W. ‘Barney’ Allen, drew on University and College records to create an official list. But he was faced with the daunting task of tracing the military records of thousands of individuals. To make the task more manageable, Mr Allen carefully limited the scope. He decided to include only those who had actually embarked for service overseas, rather than those whose service kept them in Australia, or who were still training when hostilities ceased. But he did include those people who had died, such as the lecturer in biochemistry, Arthur Rothera, who died of meningitis at the Maribyrnong camp in 1915. Mr Allen also included only those who had first come to the University before going to war, either as a graduate or those who deferred their course to sign up. It was a practical approach. The number of university graduates was already long, reaching back well into the nineteenth century - as evidenced by individuals such as General John Monash who was awarded his first degree in 1887. The numbers of new students after the war was potentially even larger. The University grew fast, 1,840 students by 1919, rising to 2,854 by 1926, when the book was published. But he also decided to exclude women, despite knowing many who had served as nurses or volunteered as doctors in military hospitals. This new research aims to rectify these omissions by including the names of several women, and those who enlisted but never left Australian shores. The largest group of new names are those who came to the University after they were demobilised from military service. These names have been identified by cross-referencing the Matriculation Rolls held by the University of Melbourne Archives with the lists of graduates published in the University Calendars and military records. Among the new names are a number of individuals who rose to prominence between the two World Wars. Many of these people took the opportunities that their war service provided, either materially through repatriation benefits, or indirectly through the experience of war service. Sir Thomas MacFarland Cherry: Sir Thomas graduated with a BA in 1918, but did not qualify for inclusion in the Record because his war service did not involve embarkation overseas. He went to Cambridge after the war, returning to become Professor of Mathematics at Melbourne in 1929. The brothers Sir Alexander Fitzgerald and Garrett Ernest Fitzgerald: The two Fitzgeralds graduated with Bachelor of Commerce degrees on the same day in 1927, both went on to lecture in Accounting at the University. Sir Alexander led a number of enquiries, chaired the Commonwealth Grants Committee (1945–67), and was appointed Australia’s first Professor of Accounting in 1964. Eustace Coghill: Mr Coghill graduated with the Supreme Court Prize for the best student in Law in 1923, was called to the bar, before finding a career as librarian and then Master of the Supreme Court of Victoria. Sir Albert Coates: Sir Albert was only allowed to pursue his interest in Medicine at the University through repatriation benefits, before becoming a prominent surgeon and University lecturer. 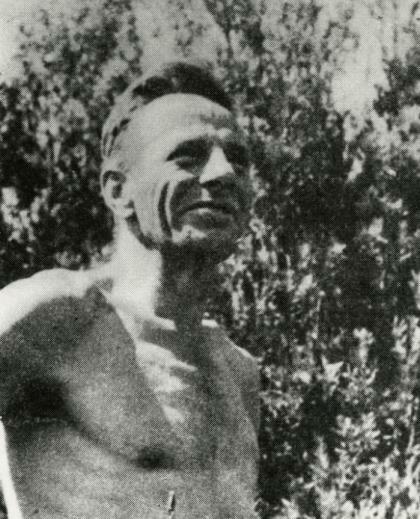 Sir Albert served with distinction during World War II, particularly as a prisoner of war on the Burma Railway. Reginald Spencer Ellery: Dr Ellery served in the Flying Corps and enrolled in a medical degree after the war, developing a particular interest in the burgeoning field of psychiatry. Wilbur Francis Joynt: Dr Joynt enlisted at age 18, took the opportunity after the war of beginning a medical course in Dublin University while in Europe, before graduating from the University with MBBS in 1926. He then moved to become a prominent medical practitioner in Adelaide. Vera Scantlebury Brown: Dr Scantlebury Brown graduated from Medicine during the war, served in London Military Hospitals. In the years after the war, she worked in public health, infant and maternal welfare. Sir Frederick Shedden: Sir Frederick was a public servant who completed a Bachelor of Commerce degree part-time completing in 1932 before becoming the Secretary of the Defence Department during World War II. 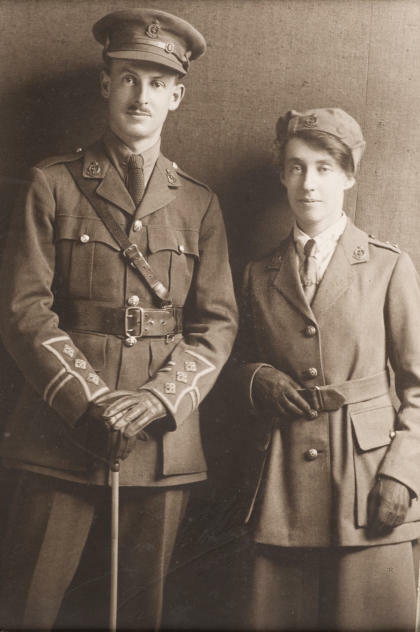 Mary Clementina de Garis: Dr de Garis had graduated with a medical degree ten years before the war, and then joined the Scottish Women’s Hospitals organisation, serving in hospitals in Macedonia. After the war, Dr de Garis became a pioneering obstetrician in Geelong. 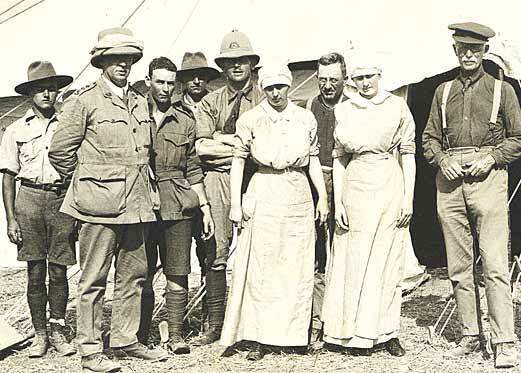 Hilda Esson: Dr Esson was a medical practitioner who graduated before the war. She married the playwright Louis Esson, and undertook war work while in Britain. After the war, Dr Esson campaigned for widespread immunisation to prevent infectious diseases as Health Officer to the Melbourne City Council, while also treading the boards as an amateur actress and helping to develop Australian theatre. Correcting these records, even now, contributes to painting a fuller picture of those who served and fought, whom we honour on Remembrance Day. 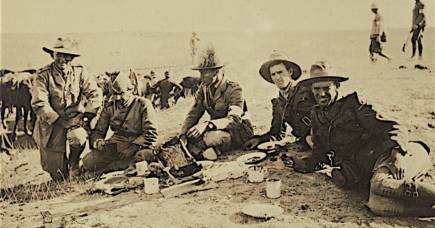 This research is part of a national ARC project examining the war service of university staff, students and graduates across Australian universities. It examines the war’s impact on knowledge, expertise and mobility of University service men and women. The Expert Nation project is compiling a national database of university servicemen and women. You can access the database of servicemen and women here. The research for this article was produced with the support of the Australian Research Council grant, DP160101109: Knowledge, War, Peace, and Nation, of which James Waghorne is a Chief investigator, along with Tamson Pietsch, Julia Horne, Stephen Garton and Kate Darian-Smith. Thanks to Genevieve Fitzgerald who provided research assistance.